The crescent-shaped archipelago in the North Pacific Ocean is known as the Mariana Islands, named after the Spanish queen, Mariana of Austria in the 16th century. Part of Micronesia, the island territories are split into US-occupied Guam and the Northern Mariana Islands. Popular attractions include the Latte Stone Quarry in Rota and the American Memorial Park in Saipan. Pack your bags and engage in iconic history and beautiful senery because cheap flights to Mariana Islands are now available! The region’s hub airport is Saipan International Airport (SPN), which is a 5-minute drive from the centre of the island of Saipan. SPN serves a multitude of airlines, including Hong Kong Airlines and Asiana Airlines. 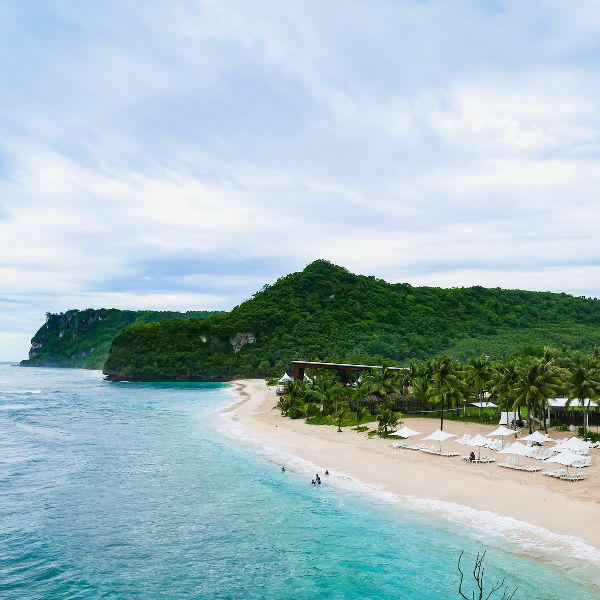 Popular connecting flights to Saipan depart from Johannesburg and Cape Town. The flight duration from Johannesburg is approximately 22 hours and 45 minutes. Explore underwater caves, hidden passageways, and sunken Japanese ships off the main islands of Saipan, Tinian and Rota. 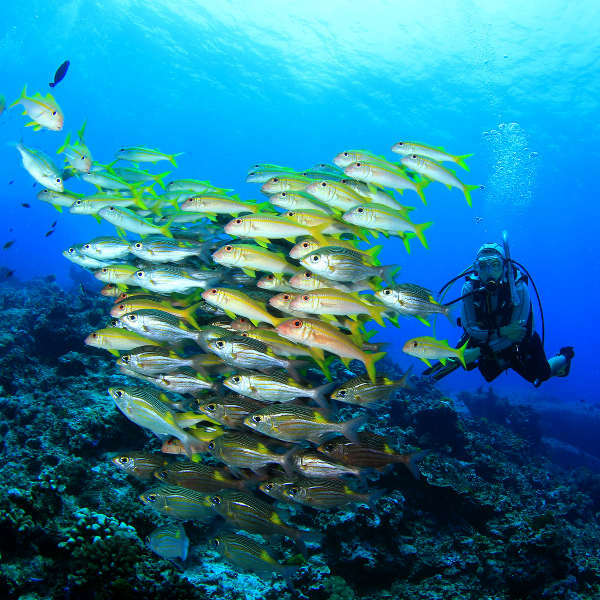 The bristling coral reefs and colourful marine life are equally spectacular. Brimming with history and tribal heritage, there is much to discover from early Spanish inhabitants to the fallen soldiers of WW2. Curious travellers will marvel at the remnants and monuments scattered around the islands. From volcanic mountains and multi-layered rock faces to curvaceous coastlines fringed with swaying coconut-palms and teal waters – the picturesque landscapes are enough to inspire, refresh and excite you. The Mariana Islands experience two seasons: wet and dry. The most ideal time to visit is between December and June when the islands are pleasantly warm with minimal rainfall. Be warned though that the islands teem with holidaymakers during the Japanese Golden Week (late April-early May), so avoid this time if you’re not one for crowds. The wet season (July-October) is not a favourable time to go as the islands are vulnerable to lashing typhoons. However, rainfall occurs in heavy spurts and are pleasantly interrupted by clear skies. Ensure you pack rain gear with you, even during the dry season, as showers may occur at any time. The Mariana Islands are divided into two units – Guam (occupied by the United States) and the Northern Mariana Islands (part of the United States Commonwealth). The northern group of the island chain is volcanic and largely uninhabited, while the southern group of limestone islands are comprised of Guam, Tinian, Saipan and Aguijan. World War 2 saw the capturing of Guam by the Japanese from the Americans, and in 1994 the Americans captured the chain of Mariana Islands back using the Northern Mariana Islands as a base from where to launch the Pearl Harbour attacks. 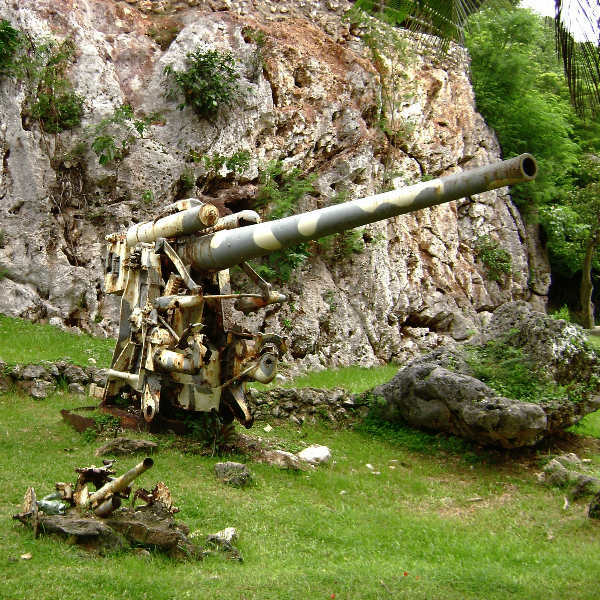 Today, the islands are teeming with war relics and memorials – iconic landmarks include the underground Toga Cave in Rota, the Bandera Last Command Post on Tinian (where Japanese soldiers jumped to their death to avoid capture) and American Memorial Park, a centrepiece of Saipan. The Kalabera Cave on Saipan houses ancient rock sketches as well as the skeletal remains of the Chamorro people and WW2 Japanese soldiers. Other surviving landmarks date back to the ancient Chamorro tribes, including the abandoned Latte Stone Quarry featuring stones dating back to 845 AD. The correlating temple and meeting house of this indigenous culture is situated on Tinian Island. Adventure-enthusiasts should take a ferry cruise out to Managaha Island, an uninhabited islet boasting vast sandy beaches and enough water sports to keep you busy all day. The islands also display incredible scenery and diverse landscapes. Climb up Wedding Cake Mountain, which clearly resembles a layered wedding cake, for splendid panoramic vistas of Rota and the surrounds. Divers will have a whale of a time exploring the underground caverns and coral reefs. Join a bicycle or off-road tour to further explore the terrain and historic sites. Laze on the powdery beaches of Taga, Landing Beach, Micro Beach and Forbidden Island where you can really forget about the world. Compare several airlines, and book your cheap flights to Mariana Islands today! South African passport holders require a visa to explore the Mariana Islands. Make sure that your passport is valid for 6 months from your departure date and that there are at least 3 blank pages available for stamps. There is no South African representation on the Mariana Islands. Contact the U.S. Embassy for further information. Safety is generally not a major concern throughout the islands. There have been reports of cars broken into and hotel rooms burgled, but this can be avoided with common sense and by storing valuables out of sight. Be a little extra vigilant when walking around at night, especially in Saipan. Be aware of typhoon season, between August and November. Agrihan and Pagan are active volcanic islands, so be aware if you are travelling in the vicinity. No vaccines are required to visit the Mariana Islands, but recommended ones are for typhoid and hepatitis A. Healthcare is not widely available on the islands, barring Saipan, where you can find excellent, but expensive, private clinics.